Silver Oak is located down the street from Brushy Creek Park in Cedar Park off Brushy Creek Rd. Amenities the residents enjoy are jogging paths, a community pool, and a park. Popular builders in Silver Oak include Grand Haven homes, D.R. Horton, and Kimball Hill homes. 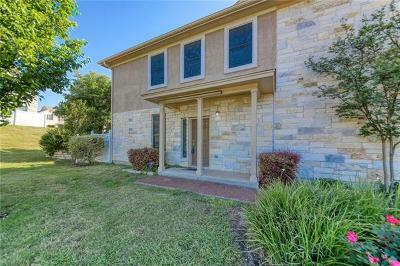 Shoppers will enjoy being close to the new 1890 Ranch, Lakeline Mall, Wolf Ranch, Round Rock Outlet Mall, IKEA, and only about 15 minutes away from The Domain and the Arboretum. Family entertainment nearby includes the new Cedar Park Center, as well as the new Williamson County Regional Park. Commuters into Austin, Leander, Lakeway, Georgetown, Pflugerville, and Round Rock have quick access to Hwy. 183, Toll Rd. 183A, and Toll Rd. 45, as well as Parmer Lane. Major employers nearby include DELL computers, St. David's Round Rock medical center, Seton Cedar Park Regional hospital, Sun Microsystems, and the City of Cedar Park. Homes for sale in Silver Oak typically run from the $200's-$400's. Ronald Reagan elementary, Artie Henry middle, and Vista Ridge high school.